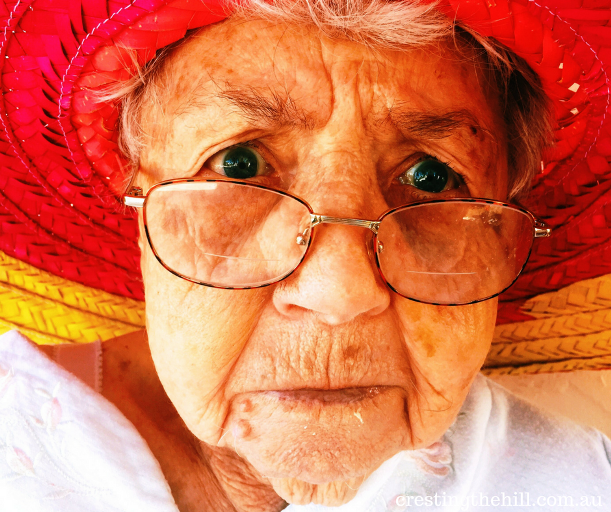 Have you noticed that social media always seems to portray grandmothers as being "old"? Where did that idea come from and why hasn't the grandmother image morphed to keep up with the times? I don't know a single "old" grandmother - and I know plenty of grandmothers. All the grandmothers I know are rocking Midlife and are looking young, fit and fabulous. A lot are still working, and the ones who've retired are out travelling, volunteering, coffee-ing, golfing, blogging, and goodness knows what else-ing! We aren't sitting in rocking chairs knitting sweaters and darning socks for the family - we're way too busy to be doing that! Try Googling "grandmother" and check out the images that pop up - all white haired old ladies! My mum is a great-grandmother now and she looks younger than all the women pictured on the search page. After you've finished Googling "grandmother" try putting it in an image search on any of the stock photo sites - the results are pretty much the same. 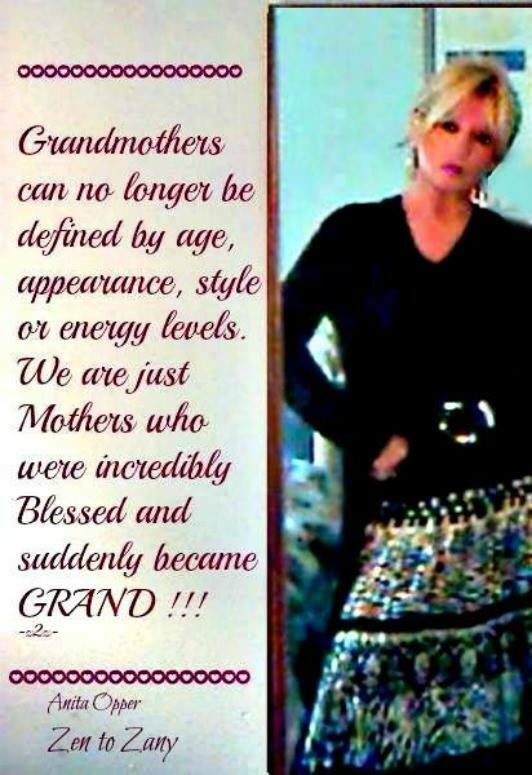 Don't these people realize that a huge number of grandmothers are in their 50's and 60's and we don't look all that much different to how we looked in our 40's. "We are all alike...we are on a journey as life continually changes our roles...and we cannot be defined by those roles...I have been blonde, thin, heavy, brunette, I am the oldest I have ever been and the youngest I will ever be...but Grandmothers and Great Grandmothers and even Great Great Grandmothers are whatever we choose to be...beyond definition. We are the Moms who were blessed and became GRAND AND GREAT....and Oh how wonderful is that?? Photo is from when I became a Grandmom the first time.."
WHAT DO REAL GRANDMOTHERS LOOK LIKE? Well, the grandmothers I know aren't spending hours in front of the mirror trying to look like they're still 20, but they're also not hobbling around looking like they live in a gingerbread house and are waiting to lure small children to an untimely end. Like Anita says, real grandmothers can't be defined. We are all living our lives to the full and keeping busy, the addition of a grandchild (or two, or more) doesn't change that and it certainly doesn't mean we're old crones. I really hope the internet catches up with us soon and starts to show a more realistic portrayal - after all, I don't have all day to wait around for them to get their act together....I'm too busy! Are you looking and feeling younger than those women in the search engines? Are you still out there living life to the full and looking and feeling like you're nowhere near that old lady that goes with the grandmother image? There are times when we might feel our age, but it will be a long time before I settle into the little old lady mold! That's what keeps us young isn't it Kathy? Having full, interesting lives gives us a glow and a sense of purpose - I'm happy to be an elderly "Wise Woman" one day, but I don't think the internet has worked out that 50+ isn't geriatric! There are days I walk by a mirror and wonder who that old lady is. But looking at the photos in your search results here - I'm feeling might young, fit, and fine! Keep rocking your great spirit and attitude! I wonder the same thing - it's SO hard to find a picture of a woman in her 50's who looks like we do - it's not like it's unusual to not look like a 80 year old at this age and stage! Growing up, grandmas did seems so old, antiquated and out of shape. I love the way today's "nanas" look! I can't wait for my turn! I'm going to rock it! Great post! I like to think that a lot of us are rocking the whole Nana gig these days - I just think the internet hasn't caught up with us yet. Great post, Leanne - When our first grandchild was born just over two years ago, I had a few people say that I "didn't look like a grandmother". I smiled and asked what grandmothers were supposed to look like. I never received a reply. I think we'll hear that comment less and less as time goes by because not one single grandmother that I know looks like the stereotypical granny of days gone by - now we just need the media to get onboard! When I see brands offering incontinence pads as the biggest lure for Midlife bloggers I kind of weep a little. I'd love to see them picking up on the fact that we have money to spend and still look good - they're missing out on so much revenue by ignoring us. I've seen the storybooks about grandparents - and they all look ancient - I wonder if it confuses small children when they see these little white haired ladies in the book and wonder why their grandmother looks more like their mum than the old woman on the page! 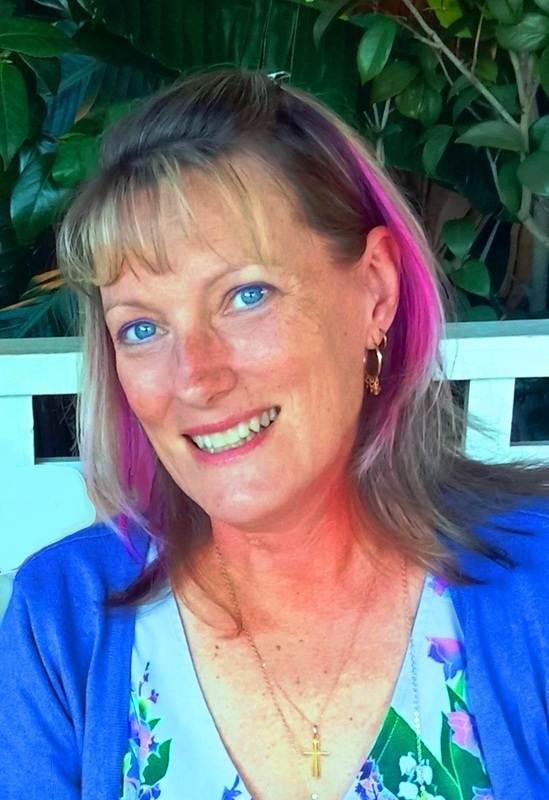 I became a grandmother at 47. I had my daughter at 21 and she had her first daughter at 25. So even then I was 'young' as a Grandma but I have always relished the role. You are right about the stereo-typing. I was a grandmother and a school principal! The media takes the 'easy' way out in portrayals although there might be change afoot with the naming of age groups. For instance: my age 68 is middle age rather than elderly for some media groups. I'm not sure when the change happened Denyse, but I have certainly noticed that most grandmothers are still working, or volunteering, or out and about having a great time - none of them are sitting in rocking chairs looking like they're 90 years old - the internet needs to catch up with us! I couldn't agree more, I wonder if we will ever get past the rampant ageism and typecasting that surrounds us? I even had a woman leave a snarky comment on my FB page about being ageist - what??? I wasn't saying we can't get old, I was trying to say that this image of Midlife women is so far off the mark that it's ridiculous. Maybe she's still stuck back in the typecast?? I hope to live long enough to be an old grandmother one day, but in the meantime I am an energetic, fit, active mid-life grandma. As I was reading through the comments to this post, I made a point of looking at the profile pics. None of these would make it in a Google search of grandmother. I'm not asking that the media eliminate images of the elderly grandmother, but just include a representative mix of all ages and personality types. I completely agree Christie - I'm sure there are ancient souls out there who are grandmothers, but they aren't the "norm" any more. It's actually quite difficult to find pictures of normal looking 50+ women when I do a blog post - it's always gorgeous young things, or elderly women - I wish the i/net would catch up with us! Great post, Leanne. Those typecast pictures are so outdated. Thanks for hosting another MLSTL link up. It's funny how stereotypes hang around for so long still - the internet is so immediate and so reflective of cultural "norms" yet it seems to have missed the boat somewhere when it comes to Midlife women - it's just weird! I never thought of this before, but you're right, there is an ageist stereotype of grandmothers out there. I'm not a grandmother yet, but most of my younger siblings are. They are all young and vital and not a grey hair in sight! Exactly Michele! Even the children's story books that talk about grandmothers have old grey haired, soft, fuzzy ladies in them - we're so different to that - we're not on the same page as mothers, but we aren't ancient either! I know what you mean Leanne. When I wanted a logo for ST60&Beyond the image that was sent to me was of two old people and I mean old!!! The stereotypical grandmother is no more. Firstly, we are all looking after ourselves physically and mentally and we are taking life head on living our own lives and doing what we want. We need to start a campaign about what Grandmothers look like. I'm 60 and a grandmother and certainly don't fit the stereotype! Neither do you and you are much younger than me! Thanks for sharing and hosting #MLSTL and I've shared everywhere! You're right Sue - we are rocking this whole Nana thing, so why doesn't Google and the rest of the web realize how out-dated they are? We're not trying to look like 20 somethings, but we are a world away from what is still being sold as Midlife or being a grandparent. Absolutely! And why are there only ever white Grandmas? Where are the Gramdmas of colour? The ones with crazy hair colours or run marathons! Stock images do my head in. I write a blog that for years was a plus size fashion and lifestyle blog, try searching for plus size women, it's a genuine shame. Always weighing themselves or sadly staring at food. The perception of women in media needs to change, across the board. You are so right Melissa! Trying to find a picture of a woman over 40 who isn't in soft focus gazing out to sea is nigh on impossible. When you start looking for a "normal" attractive, active, interesting woman in Midlife the offerings are really pathetic - and even smaller for coloured women or healthy larger women - there is something wrong out there isn't there? Loved this and did laugh. Yes, the old type cast Granny is so outdated. No more slippers by the fire or blue hair dyes for us when we're 80! I saw a woman at the coffee shop today who was about 60 and she had short fluro purple hair - and she rocked it! I had to stop and compliment her on it - it was nice to see someone living large and not trying to conform to the grandmother/middle aged woman sterotype. I might get brave and copy her when I'm 80 - it'll put a whole new spin on having a "blue rinse". I hope one of those daughters of yours lets you join the Nana club soon Deb - it's a lovely stage of life. As far as those pictures go, I don't know one.single.grandmother in her 50's or 60's who looks remotely like what the internet is trying to sell to us! Although I'm not a grandmom, I do feel and look younger than some women my age. That counts, right? LOL Interesting read! Of course it counts Bren! You don't have to be a grandmother to notice that the internet hasn't caught up with the fact that Midlife women don't look like their grandmothers did at the same age - we're younger, fitter and brighter - and we rock this age and stage! Most grandmothers I know are younger than me. Age is just a number. I know a great grandmother who still plays tennis, and looks younger than the photo on your blog title. 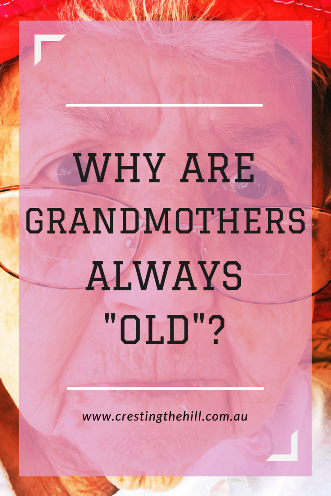 Every grandmother I know looks 20 years younger than the ones in the Google pics Erith - that's because most of us are in our 50's and 60's - not our 80's and 90's like the internet still seems to believe. Yes, I feel much younger than those grandmothers in the pictures. My mom is almost 86 and they look to be her age! This grandmother wants to start taking better care of myself so I can rock all of my 60's! Shared on Twitter, Pinterest and Google+. I think you nailed it Leanne and thanks for sharing at #BloggersPitStop. As I said above we are Rocking Nanahood! Hey, don't knock the incontinence pads! They come in handy for those of us who are only in our 50s and "leak" on occasion :) Seems us older folks just look younger these days - like Christie Brinkley for example, she's 64! She DOES NOT look her age! While listening to the Beatles channel on Sirius radio today, they mentioned that George would have been 75 on Feb 25! That made me think about Paul, he sure doesn't look his age, he will soon be 76. It's not just us ladies, I look at pics of my grandparents and although I do look younger than my grandmothers looked when they were my age but my husband also looks younger than my grandfathers looked when they were his age. Leanne, I think they're stuck in a time warp when people looked much older than they do now. My paternal grandmother died in an accident when she was 66. Though healthy and strong but not fit, she looked much older than 66-year-olds today. She had the stereotypical grandma look: round and soft, with white hair in a bun, a dowdy housedress (I think that's what they were called?) and sensible shoes. But that has not been the state of the typical grandma for many years, so it's time the media woke up. I would never want to look like her when I get to be her age; but, ohhh, she was a wonderful grandma - the kind I wish everyone could have! PS When I was a little girl I met a 28-year-old woman who was a grandmother! If that "trend" continued, she'd have been a great great grandmother by the time she was 56!